Frisco Bucket List - Be a tourist in your own town! 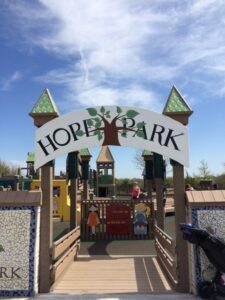 I often find myself in conversation with other moms about things to do for the whole family on weekends, without leaving Frisco. Where are your “go to” places nearby? Have you taken the time to explore the community around us? Right on our doorstep are a host of places, unique to Frisco, that you can enjoy just a few minutes drive away, so earlier this year we decided to put together a local Bucket List. What is on your Frisco Bucket list? If you haven’t started one, here are a few places to get you started. The Depot Cafe is Frisco’s oldest family owned business in Frisco established in 1959, back then known as Henry’s grocery. This is a little gem I found by accident a few months back. I had driven by its location week after week and never knew a little piece of Frisco was nestled in the corner. Not only is the food scrumptious but it’s also very kid friendly and the staff is ever so nice. The clean and comfortable surroundings enhance the experience, and, with lots of Frisco memorabilia and photos, you’ll step into a little piece of Frisco history. Not only do you get up close and personal with a cool fire engine, staff also delight in providing a “Safe and Sound tour” using the interior of a realistic house and an outdoor “mini-Frisco” replica village, including a Walmart and Babe’s Chicken House. The best part – Frisco Fire Safety Town is FREE! Depending on the temperatures, this is the perfect place to cool off for the whole family. There are various levels of slides and water features for all ages, a great lazy river, large lagoon pool and on-site café. You do not have to be a member of the Frisco Athletic Center, and pricing is very reasonable. Interactive fun for all the family, with an educational twist. Watch as each interactive station stretches your mind and inspires discovery and problem solving. But most of all, it’s a fun experience. With exhibits like Bodies in Balance and the Coordination Station, the Sci-Tech Discovery Center is fun for the whole family. Located inside the Frisco Discovery Center (map). Considered a summer tradition for many, Mary Mathis opened her little red caboose in June 1983, to produce her now legendary and delicious Snow Cones. Reasonable prices and fresh flavors. It’s just not summer in Frisco without a visit to the Snow Cone Lady. Visit the Snow Cone Lady on Facebook. 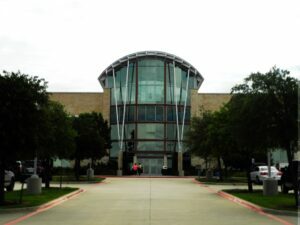 Located in the heart of Frisco Square and spread over three floors, the Frisco Public Library is not just about books! You could easily spend a couple of hours enjoying all it has to offer. From simple daily newspaper & magazine catch-up reading and browsing its range of books and music to utilizing the computer lab or availing of their new 3D printer. On the children’s floor the little ones can enjoy the puppet theater, play kitchen and take advantage of one of their FREE and frequent story times. Numerous programs run throughout the week to cater for all ages. An irresistible shopping experience with a big difference. Frisco Mercantile has over 200 retailers offering antiques, collectibles, gifts, art, women’s & children’s apparel and so much more. Even if you are just in the mood for browsing, it’s the perfect place to get lost in a shopping heaven and be inspired by some beautiful local creations and treasures. Good southern food, music and family-friendly fun for all in this very unique dining experience, in the heart of Frisco. Babe’s Chicken House is the perfect place to stop after a visit to the Museum or a stroll around Frisco Square. The staff is so friendly and, if you are lucky to be there at the right time, you can join in a rendition of the hokey pokey, a true highlight for the little ones. Bring your stretchy pants because this is comfort food at its finest. Reservations not accepted. Among the many cute houses and picket fences in historic Frisco, Randy’s Steakhouse stands large on Main Street, in a beautiful historic home dating back to the early 1900’s. Enjoy the perfect steak and a range of other dishes in a relaxed setting. Winner of numerous awards, Randy himself makes a point of visiting every table, every night! In its first year in Frisco, but already making its mark among the locals, eight|11 place is a traditional wine bar with a beautiful range of food in bite sizes and platters easily shared. They also stock a wide range of beers and sangria. Double Dip is famous for its vast range of scrumptious frozen custard caliches and sundaes, but you can also grab a hearty sandwich or hot dog, too. Ample parking and open-door, charming, old town feel. Be sure to visit Double Dip before the summer is over.